Regardless of whether you run a business-facing or consumer-facing business, getting paid is central to your ability to remain profitable. Typically, late payments are a major impediment to your cash flow. The longer debts remain unpaid, the smaller the chance they will ever be cleared off your books. The most cost-effective way to get your debts paid is to convince your customer or client to clear the outstanding amount. This results in recovery of a greater proportion of the overdue amount, specifically compared to going to court or selling the debt to a collection agency. One of the easiest ways to improve your own accounts receivable activity is to make it easy for debtors to pay you. Most businesses think of payment options in a number of limited categories: through the bank, for example, or by direct withdrawal on the due date. These options are usually not viable for overdue accounts, due to failed past payments or reluctance to get on board with an automatic payment. 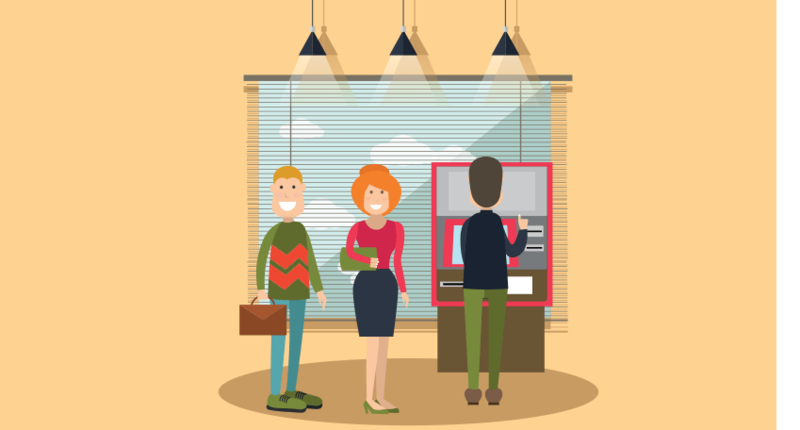 Kiosk payments: made through a machine or with an agent at satellite locations of the business. Walk-in payments: made at the business’s primary location, with the assistance of an agent or through a self-serve machine. Mobile payments: using smartphone technology that is simple and quick, and that provides immediate updates to the consumer’s bank account and the company’s account. What all of these payment options have in common is the potential to empower patrons to pay their bills using the method and time of day that is most convenient for them. Many businesses have long valued the customer service aspect of taking payments over the phone or in-person. Consumer-facing businesses, in particular, saw this as an opportunity to “upsell” clients, by offering new service packages, hardware or subscription options once their bill was up to date. However, having to talk to an agent is often a barrier for many customers, especially those who face a psychological hurdle when they come face-to-face with someone who knows they have an overdue bill. It is not easy for people to owe money, and many would rather clear the debt without the additional stress of discussing their account with anyone. Payment options also make it easier for people who simply have unusual work schedules, multiple family and work obligations, or other stressors that take priority over bill payment. It is true that for many people who owe money, life just gets in the way. Offering multiple payment options can make it easier for these individuals to take care of business and keep their accounts in good standing. Having payment options makes the business look good. After all, it’s a customer-centric approach that lets customers pay when and where they are. It also helps the business keep a positive cash flow with fewer outstanding accounts.